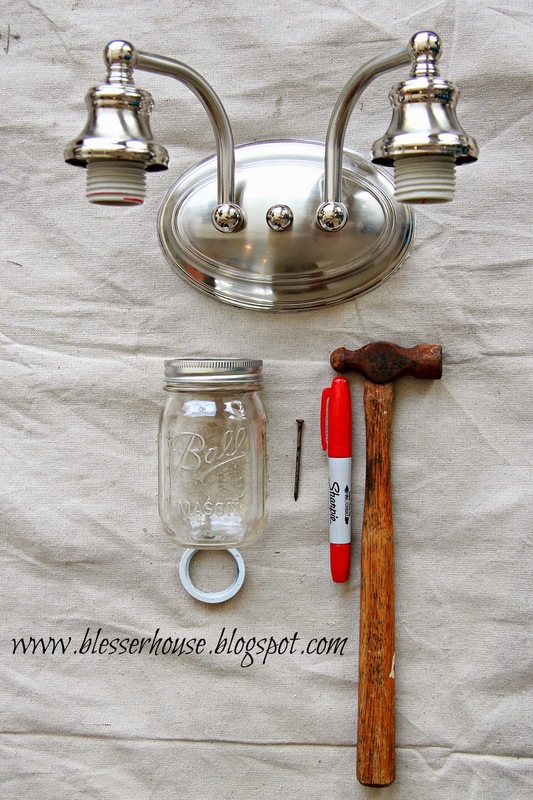 How to inexpensively transform a basic vanity bathroom light into a farmhouse style vanity light using mason jars and spray paint. Hi y’all! Despite having some technical difficulties this week (sometimes computers get saucy and put up a fight), I’m so excited to be sharing this project with you. If you’re not a Pin-a-holic, you may not know this, but mason jar projects have run rampant. So this one is total white noise in the sea of mason jar awesomeness out there, but I’m stoked to finally have this in our house! 2 mason jars (or however many lights your fixture has) – I chose the smaller ones, but the big ones work too. After detaching the builder grade shades and bulbs and my hubby took the fixture off of the wall (I’m a slave driver, I know), I gave it two coats of the oil rubbed bronze spray paint. From here, I just started nailing holes close together around the traced circle. It was easier to keep the lid on the jar. And here it is all nailed out. No power tools needed! After this step, I painted the lid rings too. All it took was a little pressure and this little guy popped right out of the lid. And that was it! I used an Edison bulb to give it a little extra vintage flair. Even though I’m all for saving energy, I despise the day-to-day functionality of energy efficient bulbs. It takes a while for them to warm up, so by the time they’re bright enough to light up our tiny powder room, I’m already leaving and flipping off the switch. Ridonculous. Edison bulb it is. This little light has so much more personality now! And it’s definitely more “us” than the basic one we had before. 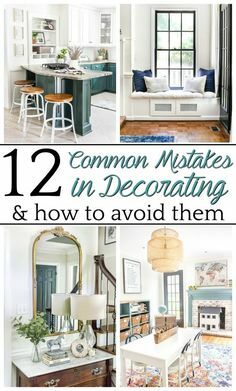 So that’s one more thing we can check off the list for the powder room. One of these days, I’ll have to make the other brushed nickel pieces in here match the finish of our light. And I would loooove to have this faucet in the distant future. Baby steps, Lauren, baby steps. This project marks the official halfway point of personalizing our downstairs lighting. If you missed it, I already did our foyer and hallway. The kitchen and dining room are next on my radar! I’m a force to be reckoned with when it comes to our lighting lately. Must. make. them. match! As a little teaser for next week, I wanted to do a small something to give back to you guys for checking in on me and my DIY madness. Y’all are the reason I keep this momentum going. My readers would love to see this post. Please link up with my Show-Licious Craft &Recipe Party this Saturday morning! I want to go run and do this RIGHT NOW! It came out gorgeous, I’m totally jealous. Hello from Anti-Procrastination Tuesday! Do it! You won’t regret it. 🙂 Thanks so much! I had thought about it but was afraid it would wear off. Yours has held up??? I might have to try it then! Thanks! LOVE – OMG I love this – you’re incredible !!! Daww shucks. 😉 Thanks, Suzan! I did this on a ceiling fan I have in my kitchen. I also used the small jars just like yours. LOVE IT! Oooh! I’d love to see it! How did you do it on a ceiling fan? Mine doesn’t have a flange on it and the mouth of the jars are too big. Thanks! Thanks so much for sharing it! I have not had any problems with it overheating or anything, but it’s in the powder room where the light isn’t kept on for very long. 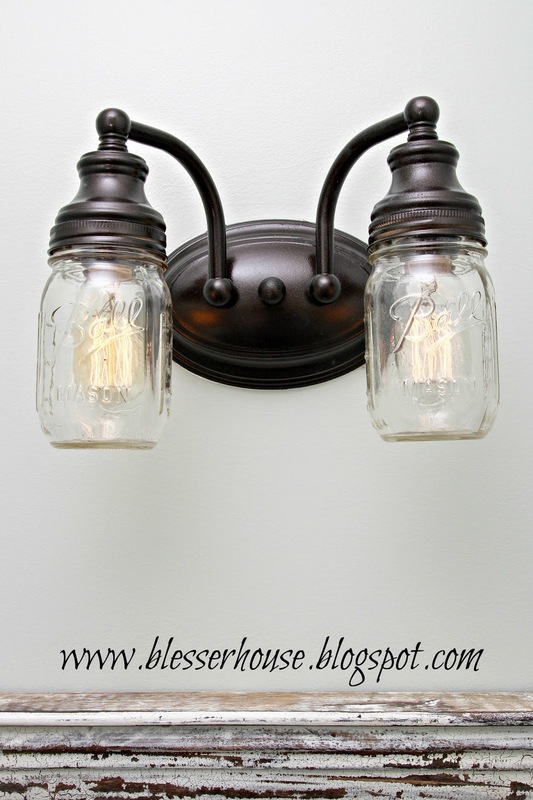 I’ve seen mason jar lights done on many other blogs for kitchen lights and I’ve never heard of any heat issues. 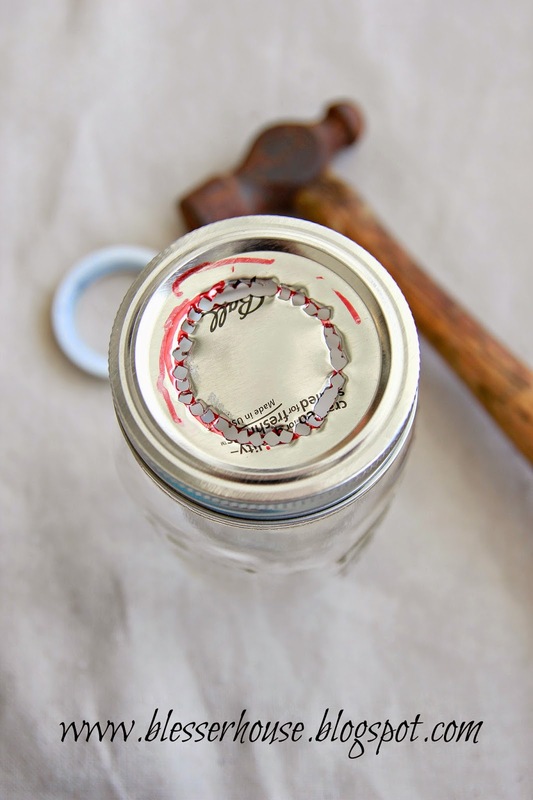 If someone is really concerned about it and wants a way to ensure that heat is escaping, the jar can always be cut at the bottom so that it is open underneath. You can cut glass bottles and jars using a method I found here: http://www.natashalh.com/how-to-cut-glass-bottles-the-best-way/ I hope that helps! Thanks for this response! I’ve wondered too about the heat. Although the the jars are tempered glass, I’d be concerned about shattering jars with the heat Edison bulbs give off in a fixture that is on for long periods. . Love your tutorial too! I’m thinking about using the large 1/2 gallon size for over our dining table. your rope idea is great! They make LED light bulbs now that are amazingly cool. I’m not sure if there are Edison bulbs or not but maybe something else that’s less ugly than CFLs. Yes! I just saw LED Edison bulbs recently and they’re really cool. These bulbs are still going strong a year and a half later. Once they bite the dust, I think I’ll be checking out the new ones. Great post, and great project. It’s too bad, however, that you had to “overcome [your] blonde brain” to get it done. You seem plenty clever, smart and capable to this reader. Self-depreciation only goes so far. It certainly does not extend to an entire group of blonde people. Very cool! I love the mirror too. Definitely going to try both. Thanks for the inspiration! Thank you! Hope it turns out well. Where did you find clear Edison bulbs that fit in the mason jars? I can’t find them! Hi Tess. I found mine at Lowe’s. Lauren-Thanks so much. I’ll take a look there! I don’t understand the difference between the lid ring and the cut out jar lid? They are steps 1 & 2 in your order of operations, but not sure what 2 different pieces you are referring to…thanks in advance! On mason jars, they have two pieces to the screw on top. 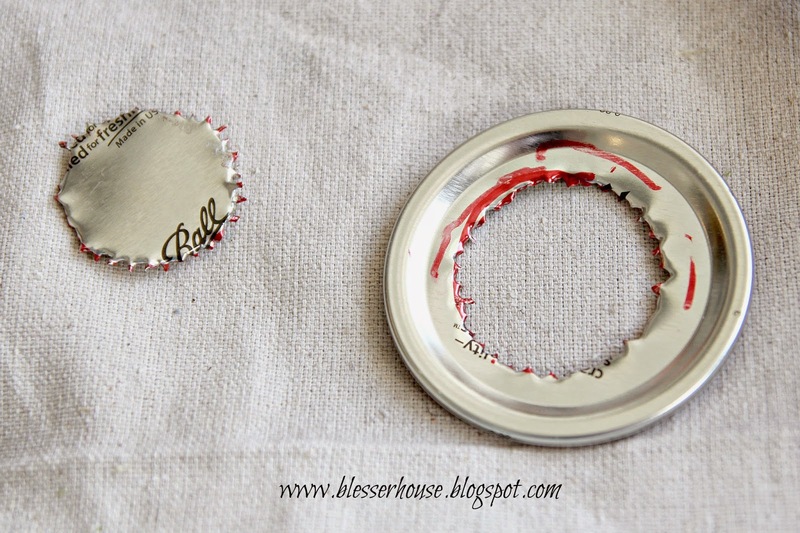 There is a flat, round metal top piece and then a ring to the lid that holds on that flat, round piece. The flat, round piece is the one I cut out. The ring just holds it on. I hope that makes sense. 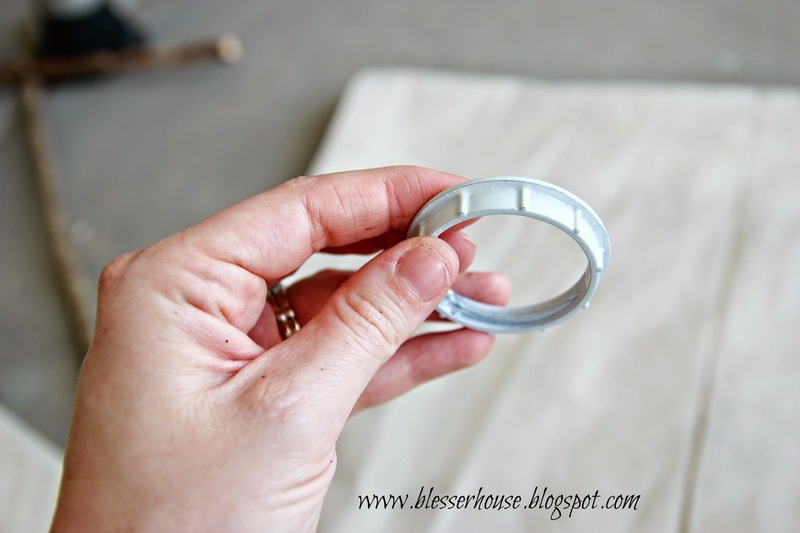 The ring has to go on top of the flat, round piece to hold the jar. These are super cool! I’m doing my bathroom wall with the wood planking, these are going to go perfectly! Thank you for such a great project! I’m also thinking fan lights with those same type of tulip light covers, would look great with the mason jars. The wheels are turning now. 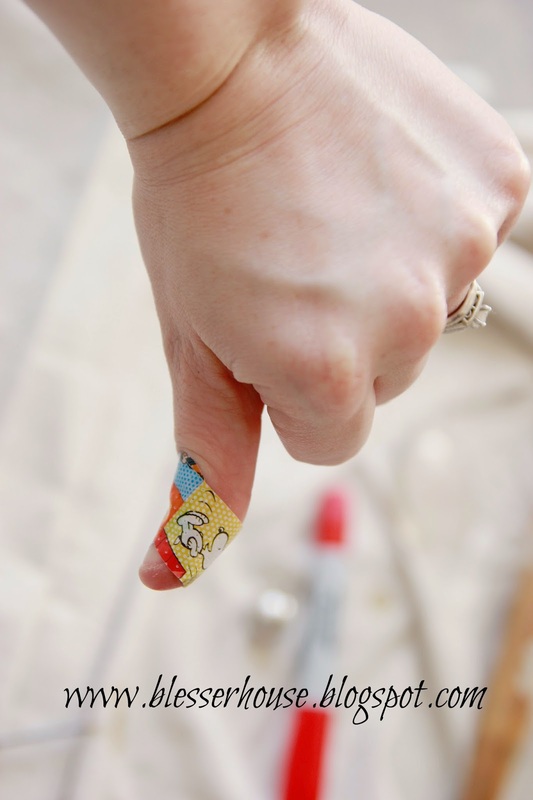 Love the bandaids! I have Hello Kitty bandaids lol. So help me out a bit… sorry I’m a little confused. Is the weight of the jar resting on the bulb? In other words the bulb is what is holding the jar in place? It beautiful but wonder how it has worked out and held up? Oh no no the jar is screwed into the lid around the flange just where the shade used to be. We made this light nearly a year ago, and it has held up great. We haven’t even had to change the light bulbs yet. Holy MOLY I took apart a similar light fixture recently trying to figure out SOME way to do this, and I gave up and put it back together going, nope, it can’t be done. I am going mason jar and fancy bulb shopping today. THANK YOU!!! SO I totally did it, and gave you a shout-out on my blog. Thank you again! YAAAAAAAAAY! Great job! I’m so thrilled you were able to do it. 🙂 I’m doing a little happy dance over here. I love the light & easy redo is what I really love, but I was wondering if the jars get hot since they are enclosed?? Thanks, Debbie! This light is located in our powder room, so it isn’t usually on for very long. It doesn’t get hot at all, and we haven’t had to replace the lightbulbs even once since we DIYed it nearly a year ago. Mason jars usually can handle a lot of heat since they’re typically used at boiling temperatures for canning jellies/jams. Hello! 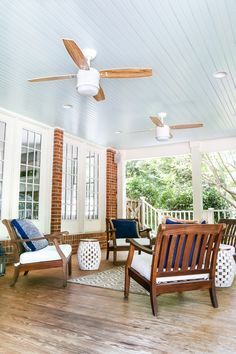 Do you happen to have the link to the exact light fixture you used? I’ve found similar ones but don’t like them as much as yours! Thanks! LOVE this project and can’t wait to get started! I have actually searched for it and can’t find it either, Kate. I’m so sorry. Our fixture was from our builder’s basic lighting, so I don’t have a clue. Hope you can find something similar though. Thanks for the love! Hi Alice! I don’t currently sell them, but there are several Etsy shops that now sell similar ones. 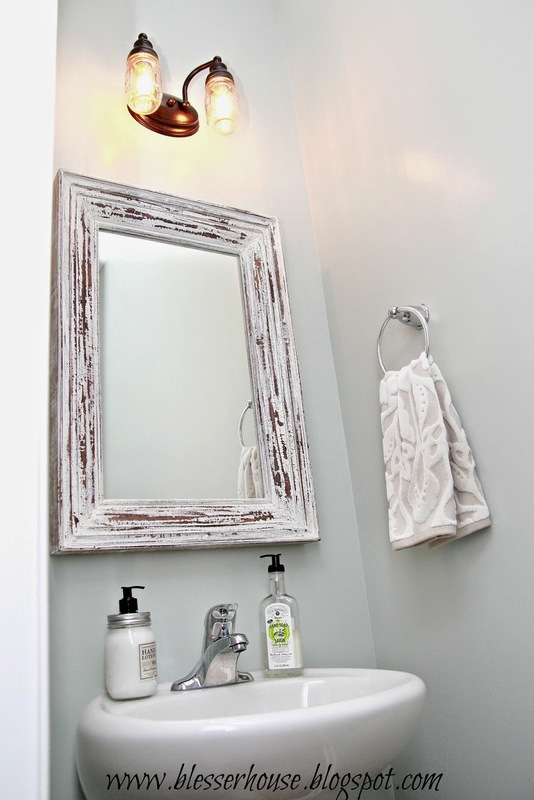 Just search “mason jar vanity light” on Etsy.com and you should be able to find lots of them. Great update to that bathroom light! 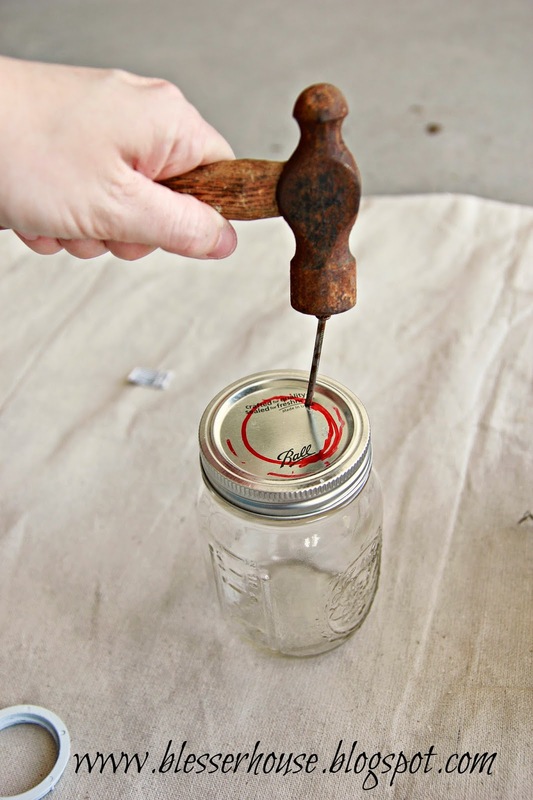 2 – I use a strong glue to glue the jar band to the fixture. much easier, quicker and no cut fingers. Hi! You could probably find mason jars on Ebay if you don’t have them in France. Some vendors might be willing to ship there. 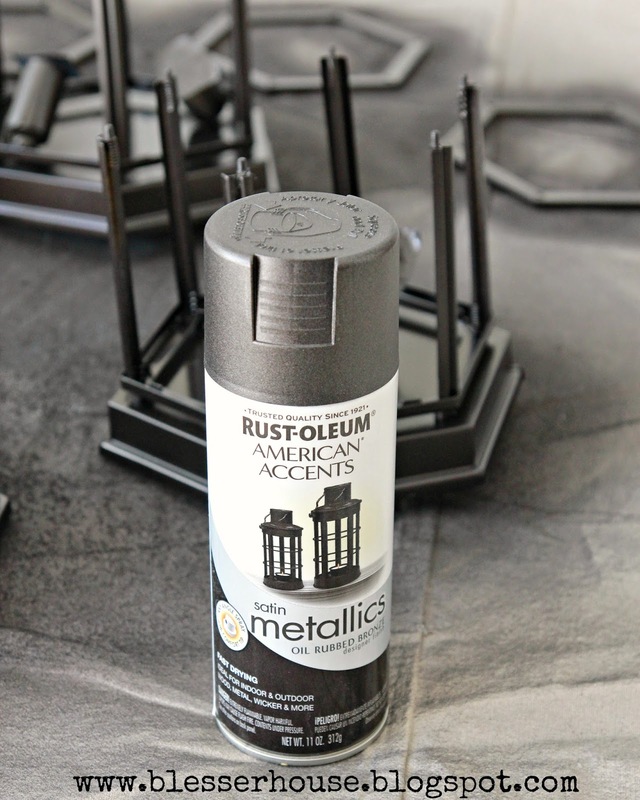 I have the exact same light fixture over my vanity, and after reading and studying your project last night, I made a special trip to Lowes today and purchased spray paint. I already had the jars (mine are real vintage). However, the bulbs have a smaller connection and there are no flanges!! Any suggestions?? I am determined to do this, love the look. Thanks for sharing! Oh no! There were no flanges holding the shades on originally? That’s strange. They usually are included with the light. I wonder if you can buy a couple of them separately in the lighting department. I found some on Amazon. Here’s one but I’d double check that the measurements will fit your light: http://amzn.to/1ikdEex Hope that helps! My fixture doesn’t have flanges either. Was anyone able to bypass this and get it to work? I so want this! Thanks so much. Hi there I LOVE this fixture and decided to try my hand at it! I also found that I have no flange on my builder grade fixture (shade held on with screws, so no threading to even buy a new flange) Wish I had thought of the glue the poster above mentioned! You are both genius! Anywho, I was wondering if you could tell me the brand and size/shape bulb you bought at Lowes, mine all say Amber at our Lowes and are too big to fit, looking online is a bit overwhelming with 9 million different kinds haha. I thought of the LED but I read online they are not for enclosed spaces. Hmmmm! I am positively giddy to finish this and have been showing our contractors my progress, they love it too 😉 Thanks for sharing such a fun project! Aw I’m so sorry it didn’t work as well for you! These are the bulbs I used: http://fave.co/1KVQIvX Glad it’s working out though! I’ve recently made a hanging light fixture out of an antique blue Ball jar and a wire hanger (for my closet) but I used a pair of heavy, old scissors to cut out the hole. Punched a hole in the center of what I needed gone with a nail to get it started, and used small snips of the scissors to trim out the rest. Much neater and the edges weren’t quite so sharp. 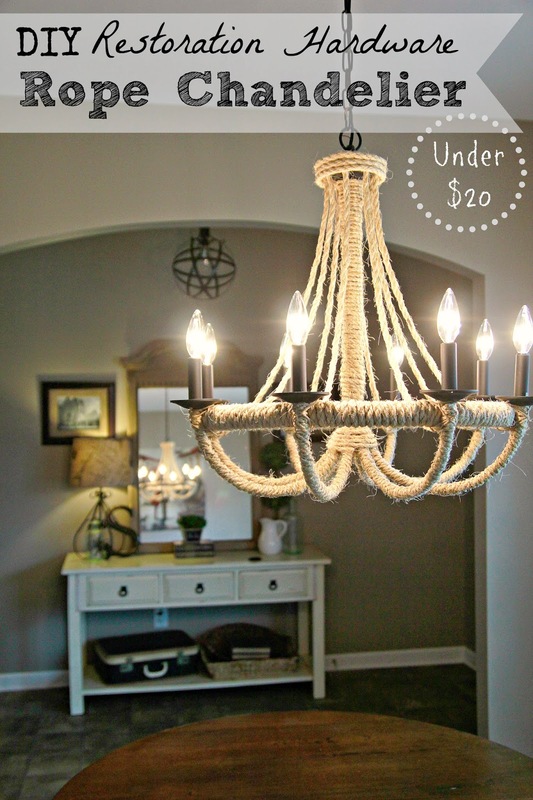 LOVED the way your fixture turned out! That’s a good idea, Lori! If I try it again, I might have to use that method. Thank you so much for the directions, easy to follow and the light fixture and even the color came out absolutely perfect!! Glad it could help, Michelle! Hi _ I’m working on this, love the idea. Do you have any great suggestions for the ugly frosted glass sconces that you removed? Thanks! Thanks! I saved mine for a while in case I ever changed my mind and wanted to switch back from the mason jars, but I think I eventually donated them. Maybe there’s some brilliant DIY out there for an alternative use for them though. I haven’t really found one yet. Silly question, when tracing the flange piece, did you trace the inside or the outside? Not silly at all! I should have specified. I believe I traced the inside. If you like efficiency, but don’t want to sacrifice the style. You should look for led Edison bulbs. Yes! I’m going to get those next once these burn out. These have still been going strong for nearly 2 years now. Ah! So my husband and I went to Lowes just yesterday & looked at how much it would cost to replace our island pendant lights with Mason Jar lights. 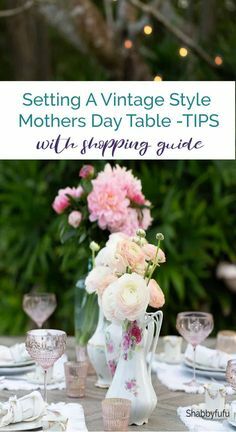 It would’ve cost 35$ each…When Pinterest searched your blog came up and I was so super excited because I was able to use 2 large Mason jars we already had & attach them to our existing pendants using your tips. 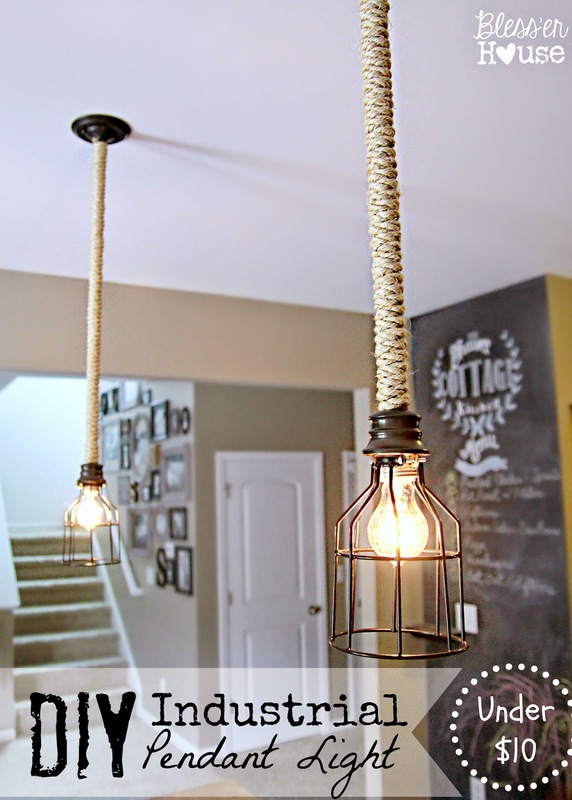 So, now I have ROCKIN’ Mason jar pendant lights over my kitchen island & all I’ll have to pay for is 2 Edison bulbs. I’d send you a million heart emoji’s right now if I could. THAT’S AWESOME! So glad it worked out so well, Joyanna! Lauren, your website is great! I’ve spent hours flipping through projects! I just did our half bath with the mason jar lighting upgrade and it came out so well I convinced the wife we needed them in our kitchen too! Have you been concerned about the heat of the Edison bulbs? The wife likes to leave our pendant lights on and the jars were feeling very warm with no airflow. I ended up ordering a pair for LED bulbs that look the same but run must cooler. Is this something you’ve noticed in your bathroom lights at all? Loved the look. I’ve tried to unscrew the flange and not able to unscrew. IT also feels like the light shade is glued to fixture. Is there something I am missing from your post? I did this project yesterday and my mason jars won’t fit over the light bulb. What size mason jars did you use? Are there different mouth widths? Thanks!! Which Edison bulbs did you use because I bought the same mason jars and bought a 40 or 60 watt bulb and the bulb, because they are so much larger on the bottom, didn’t fit so if you could let me know where you purchased it, that would be great! Great idea by the way – I LOVE IT!!! Thank you for sharing! Oops! Never mind – I see you stated Lowes! Sorry! Thank you very very much! I knew I wanted to do this, but didn’t know how – I really appreciate it! Question. Can you use small mouth Jars? I think it depends on your light fixture, but if the socket can fit inside of the jar, then I think it’s possible to use those. Love it! Also, what is the paint color in your powder room? Thanks! It’s Sherwin Williams Sea Salt. One of my favorites! I have done this project 3 times. I can not get the lid to stay glued to the fixture. I have used super glue and jb weld. What am I doing wrong?!?! Oh no! Does your fixture have a ring to screw in a shade into the socket? I didn’t use glue; I only had to screw in the ring to keep the jar lid in place. I did this today. It was extremely easy and turned out beautiful! I used a hole saw instead of nail and it was much faster. It really depends more on the bulbs you use than the jars themselves. We have Edison bulbs and they have a yellowy hue and aren’t super bright, but they’re in a really tiny powder room, so it works fine for that space. Just fyi. Many companies make LED vintage filament bulbs that are energy efficient, gorgeous AND instant on benefits of LED. I’m a lighting designer by trade and i love this design. Thought I’d let you in on the loop as many people don’t know that these are available. 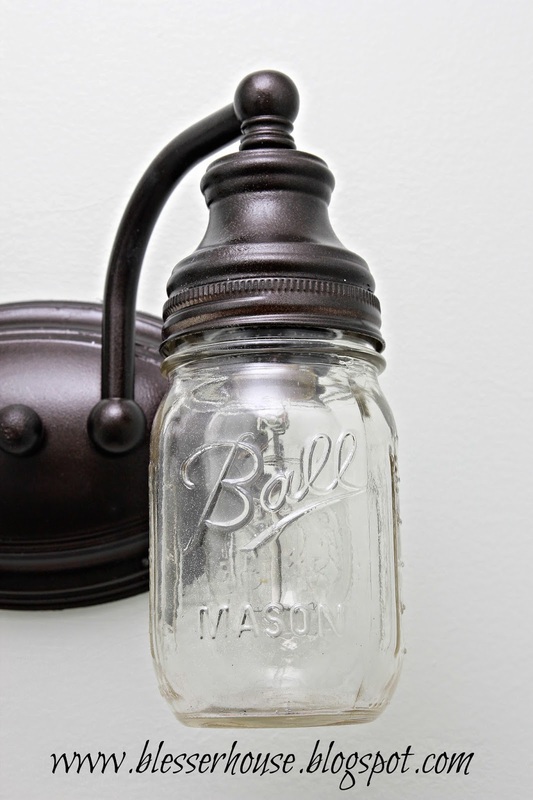 Plus- way less heat so the lid of the mason jar doesn’t eventually get stuck on the fixture due to the heat! When we bought our house I HATED our guest bathroom. It was ugly and the light fixture didn’t help it any. Along came this heavenly post. A trip to lowe’s and a few hours later and this beauty was up in our guest bath as my first DIY fix. Everyone that sees it can’t believe I made it from our builder grade fixture. It adds such great character! Thank you for sharing this fool proof tutorial! Getting ready to tackle this project in my main bathroom. 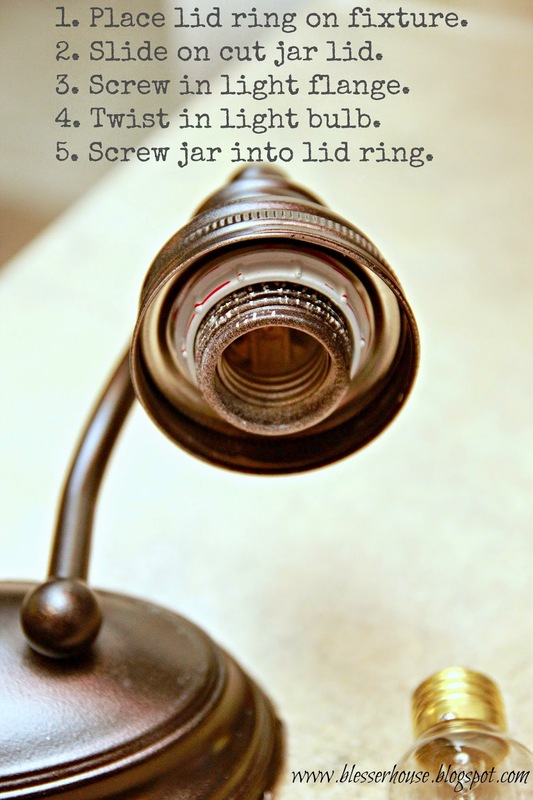 My only question is how did you attach the ring the jar screws into to your light fixture? Which Edison bulbs did you use for the vanity lights? I love these and want to make the pint-size lights for my bathrooms using the builder grade light fixtures I bought (builder grade is a giant leap above what is in my 1980s fixer-upper). I’ll shortly have a 5-light quart-size mason jar fixture above my sink peninsula. Thanks! Hi! I am planning on doing this project, So found my fixture at good will and it doesn’t have the flanges on there. what size did you use? is it something I can pick up at my hardware store? I hope so! I really love the look of this! Hi Lori! Oh no! You should be able to find them in the electrical aisle at Lowe’s. Love this project! What size Edison bulbs are those? 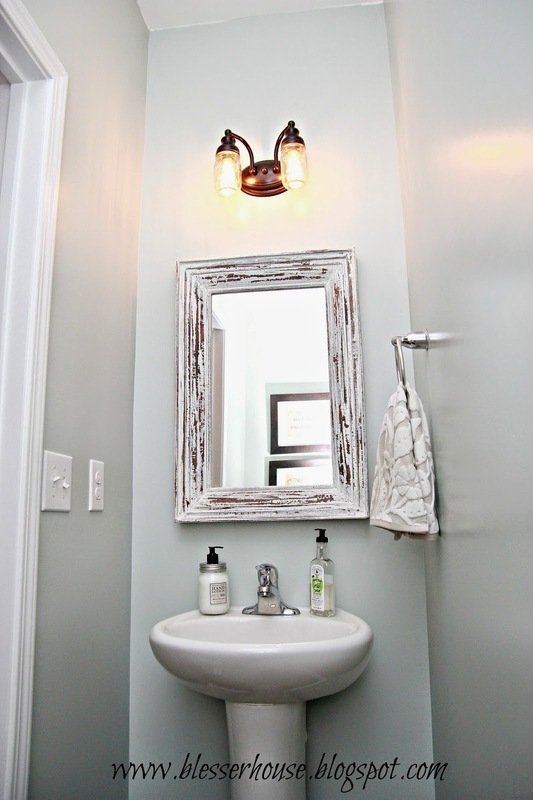 Did you diy the mirror in powder room? I love this idea!! Did the flange come with the original light fixture? I’m not seeing one on mine. Ours came with the light, but if yours didn’t, I believe you can find them in the electrical aisle at Lowe’s or Home Depot. I was wondering if the heat from the bulb would get too hot for the lighe fixture? We never had any issues with it in the 3 years we used this light before moving out of the house. Never once had to replace the bulbs. The jars are used traditionally at boiling temperatures. Love your DIY light fixture, I will try to build one for my newly renovated bathroom my husband and I did. I was searching for the DIY tutorial for Mason jar lights and your sight came up first. 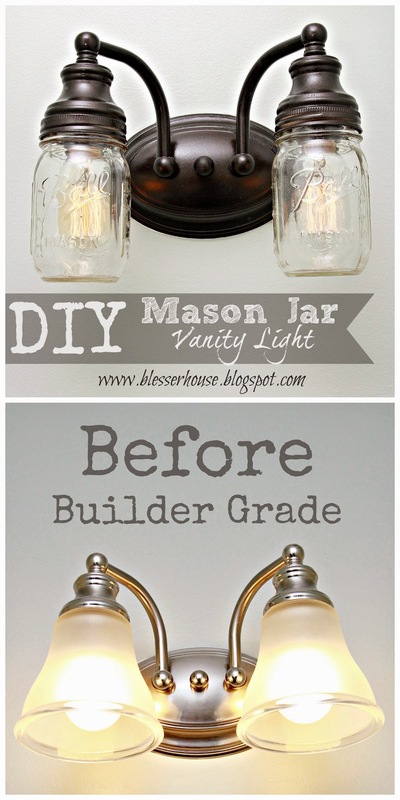 Love your DIY mason jar fixture, I will try to build one for my newly renovated kitchen. AWESOME!!! Let me know how they turn out!! Ok I know it’s been like 4 years since you posted this but…I bought a new house a year ago & I sit & stare at my ugly light fixture daily! By the way it’s exsctly like your original light. When I realized this I jumped for joy. I ran across your old post on FB in a collection of how to’s, so it was totally random. Great day for me! And I actually have the right size jars…brand new ones!! Off to upgrade my fixture! Thank you for sharing your idea!! Coni, THIS IS AWESOME!! Welcome to the blog! As I read the post I imagine you bouncing and skipping away to make this. SO FUN! !